Ryan Heavner is scheduled to race at VIR on December 5th-7th. The North Carolina driver Ryan Heavner has partnered with NASCAR Camping World Truck Series driver Caleb Holman, NASCAR Nationwide driver Eric McClure and Whelen Late Model driver Craig Stallard. The ChumpCar World Series is racing in it’s purest form. It’s a throwback series to remind you of the times when racing was affordable. Home-made engineering and dented quarter panels, before the cars even take the green flag. It takes drivers and fans to a time before carbon fiber and wind tunnel testing. 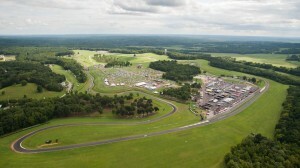 The event will take place on the VIR North Course. That’s 2.25 miles of twists and turns, a first for Ryan Heavner. He will be making his road course debut with the ChumpCar Series. 145 mph is the top speed on the Virginia road course. When he crosses the start finish line, it won’t be crossed again until nearly 2 minutes have gone by. A long lap for Ryan Heavner to learn some road racing skills in add to his racing resume. The ChumpCar World Series race will feature a double 7 hour race, meaning it’s a 14 hour endurance race. 7 hours of the event will take place on December 6th with 2nd part of the event taking place December 7th. The car is a Nova which was prepared by Caleb Holman for the event. Ryan is excited to get to the pit lane and turn his first road course laps. Practice will take place this Friday, a day before the double header event. LOGIN | © 2019 Ryan Heavner Racing | All Rights Reserved.